You ARE a yogurt fanatic with so many millions in your fridge 🙂 But there are worse things to be addicted to, right? 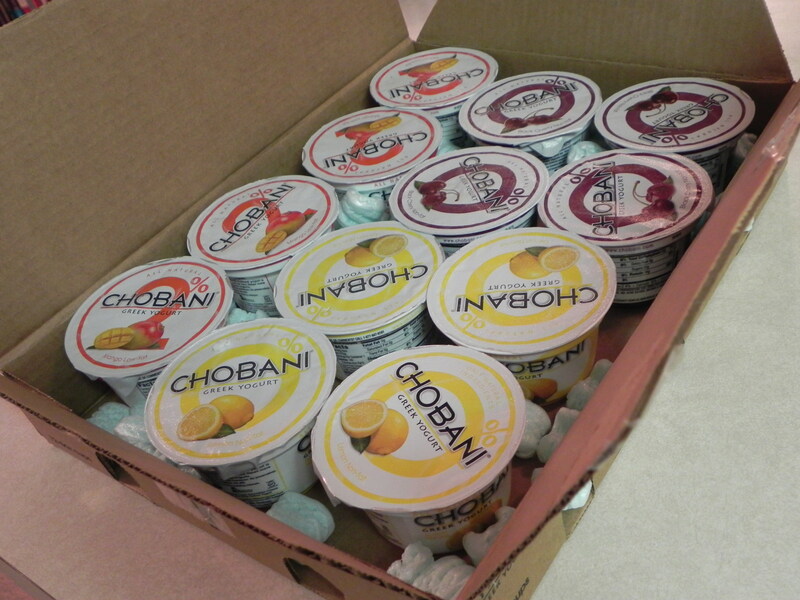 I haven’t tried Chobani, but I have no doubt I would like the Mango best–I LOVE fresh mangos! 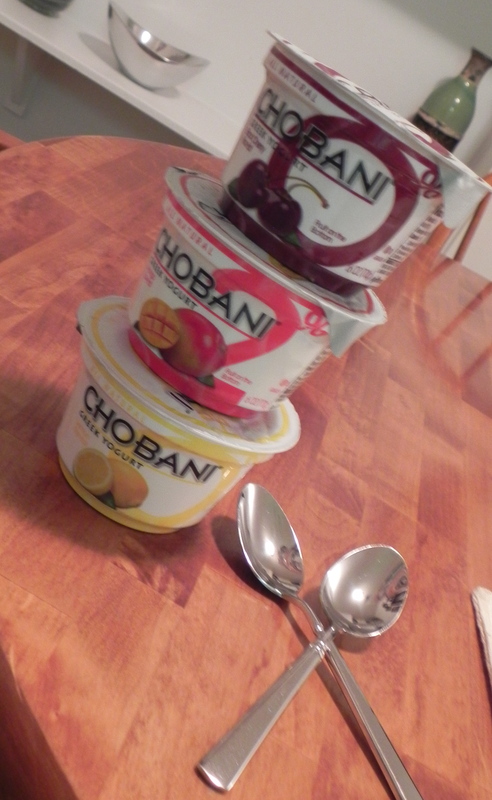 My favorite flavor is Vanilla Chobani, but I can honestly say that all of the Chobani flavors are fabulous! Thank you for such a terrific giveaway! I am obsessed with the Mango flavor. My favorite. I wish it came in 0% fat though, instead of just 2%. My favorite is a toss up between pineapple and black cherry…how can I decide?! raspberry!!! pomegranate comes in close second. I want to try mango sooooooo bad, but cannot find it anywhere near where I live!!! Pomegranate Chobani rocks my world. the lemon and mango are my faves! I love Chobani, I eat it everyday! My favorite is strawberry banana. I eat it with sliced apples and its the best! 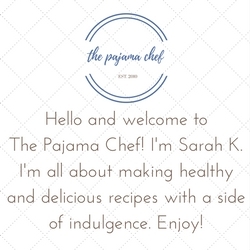 I have never had Chobani but it has been blowing up the blogosphere like crazy so I am dying to try it! Mango is my favorite fruit so I would guess that might be my fav!